Our golden hardwood chip is ideal for chicken coups and runs. Made from mixed hardwoods and having a nominal particle range of between 5 and 30 mm. Good quality hardwood chips - ideal for the chicken run. 70L bags easy to handle and delivery was quick and painless. Good website makes ordering easy too. Would recommend. Great product, super fast delivery and good communication will certainly be using again. The product is excellent, however the courier used to deliver it is infamous in Conwy for their ineptitude. Despite the information I’d given about delivery, the first delivery was cancelled as the truck was too big. The couriers rescheduled, promising to send a smaller truck a few days later. The second truck was still too large to deliver without damage to the truck. Unfortunately I won’t be able to order from you again, as your local courier have never sucessfully delivered first time. I am really pleased with my wood chips, and the chickens love scratting in them. Delivery was quick and efficient and I would definitely order from cpa again in the future. This bark is fantastic for our chicken run. I ordered 10 bags which was plenty, the delivery was quick and efficient. I would definitely order from cpa again. Very pleased with order, prompt and correct. Bags labelled hardwood play bark but contents perfect for our needs, Reassured by prev. review on this subject and anyway my chickens can’t read yet. Callout for excellent service from palletways. I was not around to receive delivery, but was kept informed by phone. Driver always courteous - came home to find that they had taken the trouble to take pallet down driveway. Thankyou. Exactly what I needed. Delivery was on time and I was kept updated. Very happy. Exactly what we were after - thanks! Great service, quick delivery, very helpful driver. I would definitely recommend (in fact my neighbor wants to order now too! Very happy with the quality of the woodchip. Decent size pieces of chip, much better than I have had from other companies. Chickens are loving it and it has covered the muddy ground well. The smaller bags make it much easier to store some and to move around. All in all a happy customer. Would recommend! Hardwood chips fine. Actual delivery from van to door fine. The bit in between a bit of a pain. Received phone call and email to say delivery would be between 10.30am and 12.30pm. At 1.45pm as chips had not been delivered I decided to track it only to find it stated delivery had been completed. Contacted CPA to inform them it had not been completed. Eventual delivery around 4.30pm . Very good quality hardwood chips, perfect grade for our the indoor section of our poultry area. Delivery was on time and driver helpful. Will definitely purchase again when then hens have worn this lot out. Delivered when stated, product as expected, will certainly use again. 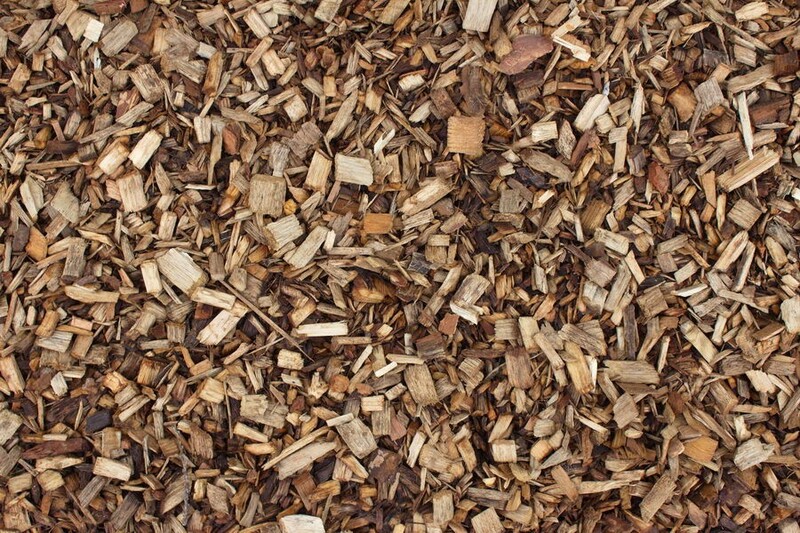 Dust free hardwood chippings.Extremely good value and perfect for our chicken run. Order arrived quickly, no fuss. Really pleased with the chips, very high quality with uniform size pieces. The bags made it so easy to locate them the other end of the garden and have made a wonderful job of covering the mud in the chicken run. One hen laid out on it to sunbath 2 minutes after putting it down! Brilliant! Very happy with this product. Arrived on time. The bags make it easy to get the wood chips into our chicken run rather than shovelling out of a big sack. Easy to move in a barrow from drop off point outside the house. Delivery man was helpful unloading. Hens are now very happy with clean, dry feet and something new to root around in. Thank you. Excellent service - Hardwood chips seem good and packed well. Happy to use CPA Horticulture again. Great service, competitive price. The delivery driver was very helpful. Very Happy all round especially the chickens. Great product and delivery. Chickens now have dry feet again. Excellent service. Email from customer services immediately about access. Kept totally up to date about delivery right up to the moment the driver arrived. Driver was extremely helpful too. Great service! Thank you! Purchased 20 x 70 ltr hardwood chippings for my hens . Arrived on time good quality . Paid for pallet delivery however unpacked from van with driver assisting , some already split bags ! Easy to order, communications were great, delivery on time, great product. Great product delivered on time. Our hens are very happy - no more mud! Wood chip is good quality. Delivery was efficient. Delivery communications were not as stated on the website. Tracking details were not sent and no advance warning was given on the day. Easy to order through the website.Quick delivery and competative price.Thank you. Quick Delivery, great product at a very competitive price.Thank you. Ideal product. Delivered as agreed and delivery driver was most helpful. Would recommend. fast and efficient. easy to handle and well packed. Bought to put in Chicken Run. They're great. Give just enough extra grip on the mud. Not covered the run, bought 10 bags and have used 2 of them so far on a small section, about 2x2mts. Which is the main area we walk on. They are partially contained, but the chickens still kick them about. They also enjoy rooting around in them. Delivered on time, by courteous helpful guy, who wheeled the pallet up to my garage door, up an incline. These wood chips are a great base in our extended hen run. They are soft underfoot, and the hens seem much happier with their clean dry feet, and they can still scratch. Delivery very quick, even though a day later than initially expected. I was phoned about the change of date early on so it wasn't a problem. Delivery man very polite and helpful. They arrived labelled "play chips" so I was worried they were wrong, but my enquiry to CPA Horticulture was answered very quickly and I was reassured the are the right thing. In summary, great product, great value for pallet of 10, great customer service. Very nice product - clean and perfect for the hen run. Delivered promptly and the 70 litre bags are easy to move around. Thank you! Best price, good quality, great delivery. Very happy with the quality of the packaging and the product but it was not delivered on the date expected.